This book examines China’s economic development from the end of 1970s, integrating perspectives from law, economics and political science. 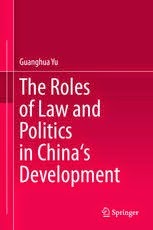 Particular attention is given to the role of formal law and political changes in China’s development, presenting the argument that formal law has made a useful contribution to China’s economic development. Economic development and mass urbanization have unleashed unprecedented levels of land disputes in East Asia. In China and Vietnam especially, courts and other legal institutions struggle to find lasting solutions. It is against this background of legal failure that this book brings together leading scholars to understand how state agencies, land users and land developers imaginatively engage with each other to resolve disputes. The book is the first monographic work on the legal history of Republican Beijing, and provides an in-depth and comprehensive account of the practice of law in the city of Beijing during a period of social transformation. 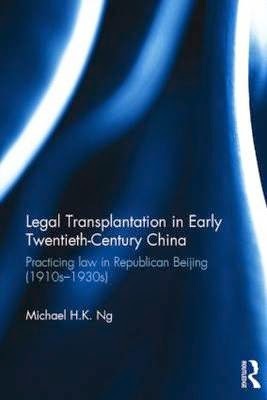 It explores the problems encountered by Republican Beijing’s legal practitioners, including lawyers, policemen, judges and criminologists, in applying transplanted laws and legal institutions when they were inapplicable to, incompatible with, or inadequate for resolving everyday legal issues. Is law reform itself also in need of reform? This collection of essays by distinguished experts from around the world seeks answers to the question. 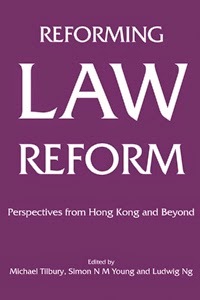 The book explores the varied experience of law reform in Hong Kong and other common law jurisdictions and makes recommendations for strengthening the process of law reform both in Hong Kong and elsewhere.